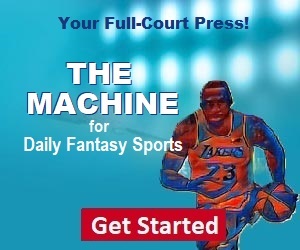 ASL Fantasy NBA News breaks down the latest NBA player news and gives you free fantasy basketball advice. With Lakers' Lonzo Ball's long term injury and possible trade away, ASL's Ernesto Delgado explains why Rajon Rondo should be on your radar. The Los Angeles Lakers have been making quite a bit of noise as they continue to make their mark this season. Due to injuries to Lebron James (groin) and Rajon Rondo (finger) early in the season, the Lakers' got off to a slow start. With news of Lonzo Ball's injury (ankle), he is expected to be out for 4 to 6 weeks. And with the even more recent rumors that the Lakers are trading away Ball, the team will undoubtedly need players to fill in these roles. A player that has been standing out recently is Rajon Rondo. Even though he may be known as a free-throw troller, his opportunity and upside potential should not be ignored. As we’ve witnessed on his first game back from injury, his usage time was not limited, and he continues to solidify his role as he is averaging 38 minutes of playing time. His shots may not always be there, but he will keep owners content, as he puts up solid numbers in different categories. In his previous 3 games, he has been averaging 5.7 rebounds, 11.7 assists, 0.7 blocks, a steal, 3.3 turnovers, and 9.3 points. Fortunately for the Lakers, the return of Lebron James helped them redeem themselves, after a close match with the 76ers and against the Clippers, all the while not affecting the production of Rondo. For instance, Rondo achieved a 0.429 FG%, gained 13 rebounds, 7 assists, a steal, a turnover, and 14 points in 36 minutes of game time. Even though Lebron will see an increase in ball possession as his health improves, his rapport with Rondo will only get better. With the defense focusing in on Lebron, the court will surely open up for Rondo to take a shot for himself or gain an assist. He has very little competition ahead him, and it will remain this way for as long as Ball is out or if he is traded. Although he may not be the cleanest of players at times, he is a player worth rostering and starting week in and week out.